Dinner Experience with a Local in Seville. Discover Seville’s traditions and culture by enjoying a meal prepared and hosted in the home of a local family. 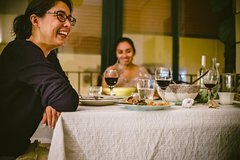 During the 3 hours that this experience lasts, you will see how your hosts cook an authentic regional meal as they provide you insight into Spanish life.